Amy challenged us to use our noodles for the latest edition of IMBB. I've noticed a trend towards ribbon-like pieces of vegetable being labelled noodles, particularly in vegetarian and raw restuarants. Some people are even making beautiful fruit-based noodles. I figured, if it's good enough for them, then it's good enough for me (and hopefully it will be good enough for Amy too). I wanted to make a delicious brunch that was healthier than usual, but still as satisfying. 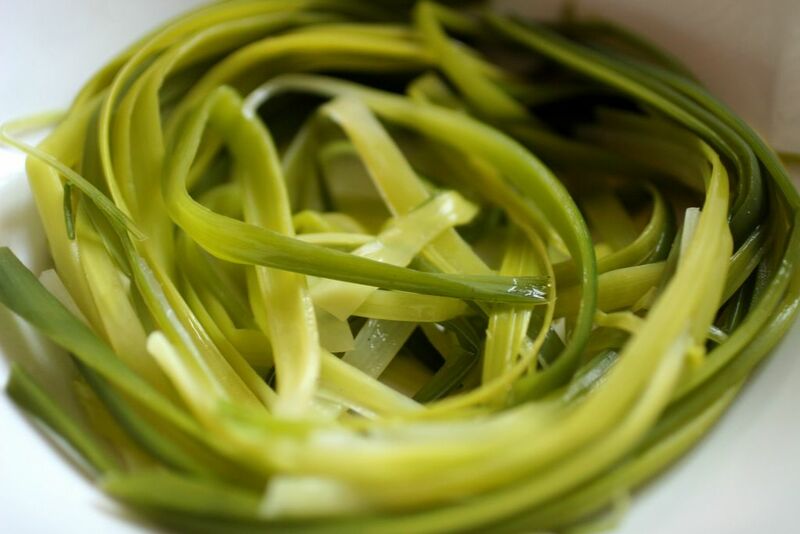 Leeks lend themselves easily and beautifully to ribbon-like shaping, so I decided they should be the base of my dish. 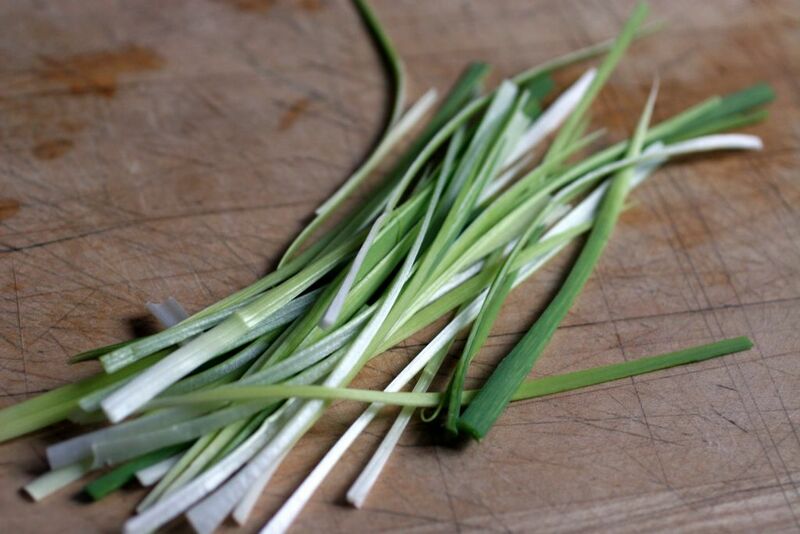 -steam leek ribbons until tender, leave covered to keep warm once cooked. -meanwhile carefully pan fry spring garlic ribbons until crispy and golden. Remove onto kitchen towel to drain of excess oil. -in the meantime pan fry diced bacon, breadcrumbs and almond meal til golden. Add cheese and stir until it forms a nice crunchy mixture. -whilst you are doing that, add a dash of vinegar to some water, heat it to a simmer and poach an egg. 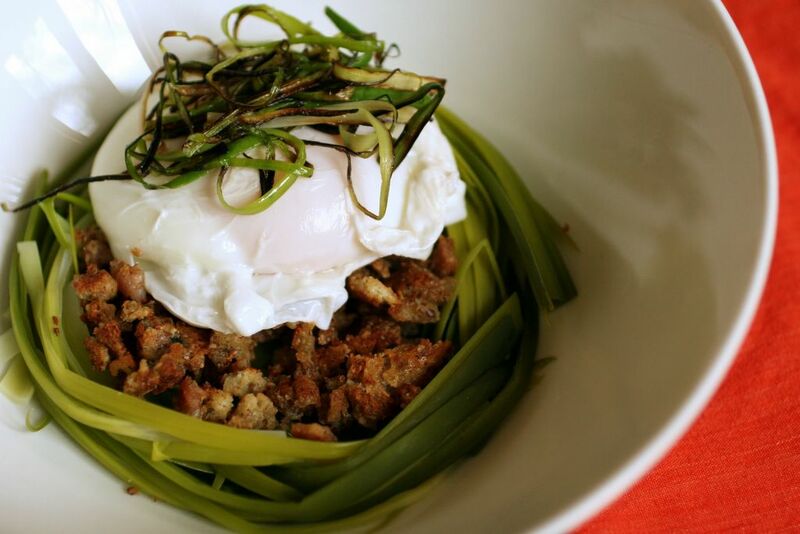 -arrange leek noodles, like a nest. Fill nest with the bread/bacon/almond/cheese mixture. 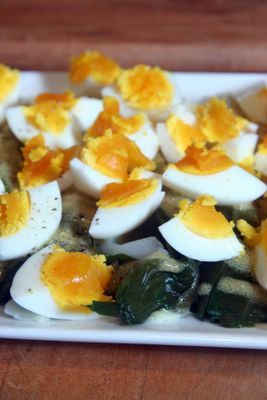 Top with poached egg and then crown with the crispy spring garlic. That was quite good, that was, now what's for lunch? The reason I chose Weightwatchers # 2: They don't lecture on not eating things, but they do encourage you to eat healthily. 5 portions of fruit and or vegetables a day is one of the goals that Weightwatchers set for you. Archive Alert! On this date in 2005: Scrambled Egg on Toast with Prosciutto. Nice way to get more vegetables in! I heart leeks... this looks like a nice way to cut to the chase and eat them as a main component of a dish. mmm i love leeks. infact i had a weekend of leeks - but not as tasty as yours. mine was a simple leek soup, to get rid of the toxins and detox after way too much indulgence these couple of weeks. that looks delicious. All I made for lunch was leek and potato soup with wholemeal bread. Beautiful and unusual! I must say that you have terrific knife skills...I doubt my veggie noodles would be very noodle-y looking. Bea - I love leeks too. Like really love them,and so does fred. I have to thank my mum for instillling a love of leeks into me. 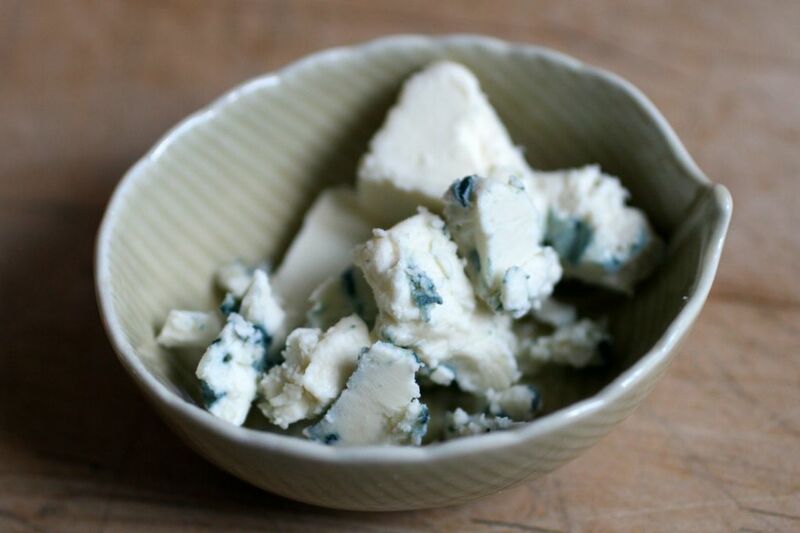 Poireaux au vinaigrette - yum! I think i am going to do more with "leek spaghetti"
Mcauliflower - I think i am going to try them with a creamy mushroom sauce. Its a psychological thing that their shape looks like noodles - but it really works for some reason. Saffron - Leeks are good whatever way I think - even when they are overcooked (in terms of the trend towards crunchier veggies) they still taste yum. mum - i think making soup is more adventurous than your "all I made" would have us believe. thank you for getting me to love my leeks. this dish is very simple, you should try it. Nupur - no fancy knife skills required - leeks are ribbon-like by the by. Just cut them lengthways and you will have auto-ribbons!